First and foremost, we do hair. Everything from a new haircut to extensions and color to braiding. Whatever we put our hands to, we make sure it’s done with purpose. Whether it’s a haircut that enhances your features or a color that takes your style up a notch, our 17 stylists are incredibly talented at creating something stunning and doing it in a manner that protects the integrity of your hair, promoting healthy happy hair. Layers, a chop, shag. Crown Beauty Bar and Crown Uptown stylists do it all and they do it with knowledge and precision. We are constantly educating and pushing ourselves to be able to provide what’s timeless and what’s on trend. If you’ve got an idea of what you want, our consultations are always free! We are a Davines™ color salon. An Italian, family-owned company that creates high-end hair color that not only stays, but keeps your hair healthy and gorgeous. 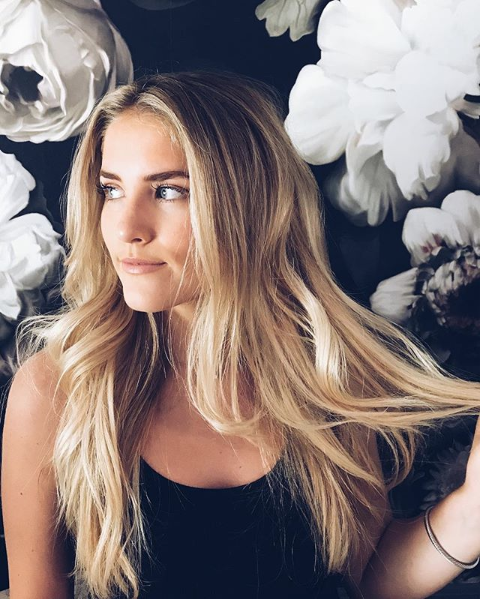 If you want a pop of highlights or a head full of blonde, Crown Beauty Bar and Crown Uptown stylists are dedicated to the process and you are going to love the results. With several hair extension types to offer and endless amount of hairspray, your dream hair is only one appointment away. Bonds, hand-tied or tape-in, we have an extension solution to suit your lifestyle. Going out tonight? Book a blowout or a braid session with one of our stylists and leave feeling like a new person! SO what is a beauty bar? Think of it as a total beauty solution all in one convenient location. Our goal is for you to spend less time driving all over the town and more time getting pampered. We have three full time lash experts providing Xtreme Lashes. If you've ever wondered if lash extensions are for you, Crown Beauty Bar is the place to have all your questions answered. Book a consult today! Bringing Jane Iredale™, a West Coast luxury makeup brand to Northwest Arkansas, Crown Beauty Bar has incredible makeup artists ready to show you how to wear this skin-enhancing makeup no matter the season or occasion! Soft wax, hard wax, brows, legs, we do it all. Our licensed estheticians provide a gentle, caring experience when it comes to hair removal. Need fuller brows? We can help you with bolder brows and lashes with tinting. Our nail tech has 10 years of experience and has a pedicure service that is unlike anything offered in Northwest Arkansas. Our shellac services are the luxurious experience you've been wanting for your nails. For over 5 years we have been Northwest Arkansas' total beauty solution. Hair, eyelashes, makeup and permanent cosmetics, waxing, facials, nails and massage are finally in one convenient place. Whether it's a spa day with your friends or just a quick drop-in, you can expect kind, loving, helpful service at every visit. Our licensed estheticians takes the utmost care in restoring and maintaining your skin's healthiest look and feel. Using only Comfort Zone™ products, we focus primarily on fine lines and wrinkles, blemishes, and sun damaged or discolored skin. An award-winning brand, Comfort Zone™ is featured exclusively in top spas all over the world and we've brought it home to Northwest Arkansas. We believe dealing with stress and tension is just as essential to health and beauty as any other service we offer. That's why we take massage very seriously. Evey, our licensed therapist, has over 15 years of experience and is certified in several techniques all aimed at providing relief of aches and pains or maintaining muscle health.